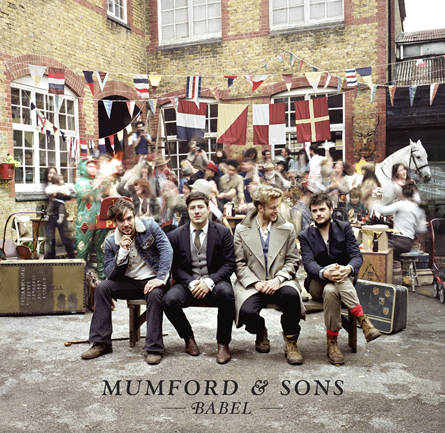 The new Mumford & Sons record is now available for presale on mumfordandsons.com. Babel will be released via Glassnote Records on September 25, 2012. As you might expect, the Mumfords are heading out on the road to promote their new record. Their only local show on their upcoming tour is at Pier A in Hoboken, NJ on Aug 1. Unfortunately, that show is sold out already, but I’d expect they’ll announce something in NYC in September, closer to the date of the record release. While Hoboken is “technically” the Mumford’s only local show, Mumford & Sons member Ben Lovett is DJing at Union Hall on Aug 2 for the monthly Communion NYC show. 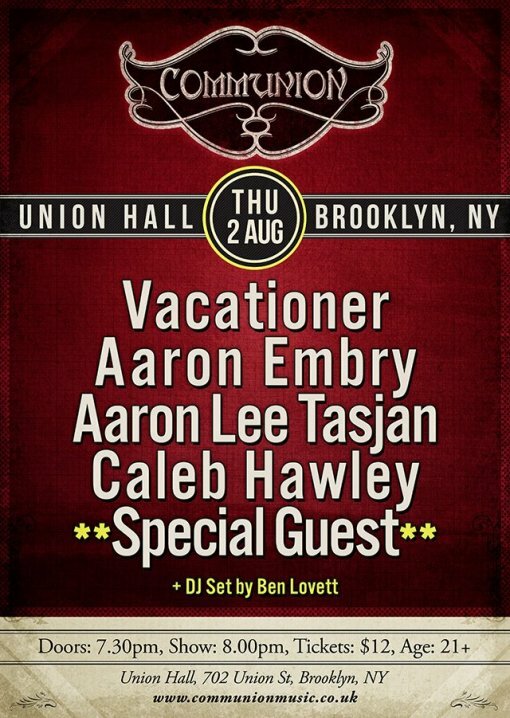 That bill features Vacationer, Aaron Embry, Aaron Lee Tasjan, Caleb Hawley and a Special Guest. I don’t know anything about who the “Special Guest” is, but if I were you, I’d buy a ticket. Communion NYC flyer, Babel tracklisting and more Mumford & Sons tour dates after the jump.